Fast cars are an example that car manufacturers constantly improve systems of the cars and periodically conduct workings out on creation of the perfect and fastest vehicle for movement. Many technologies which are developed for creation of the super high-speed automobile pass in a stock production of cars later. Thus, the pursuit of speed is a progress integral part. Speed and power of a car – which the majority motorists interests at purchase (however frequently these parameters remain behind the price which for the majority of people is the defining factor). Than more these indicators, especially sharp, interesting and bewitching movement on it a car. However simply to put the powerful engine for creation of a fast car there is not enough. The fastest cars of the world have not only powerful engines, but also the easy weight, adjusted aerodynamics for reduction of resistance of a wind at movement and increases in clamping force, perfect systems of safety and so on. It is connected by that at increase in the maximum admissible speed of movement, the number of problems which can obstruct to traffic also increases or make it not safe. It’s necessary to notice that the fresh models of 2014 in the center of attention not only because of the technical characteristics, but also appearance. After all buyers of the given cars are very much men of all means, and not all from them are race drivers for display of unique indicators of the car on a racing track. Many buy the given kind of a automobile because of its premium-class which speaks about a solvency of the owner, and its sense of taste. Design of sport cars always bright and causing. This feature is directed on that part of audience of real buyers which do not get a it because of characteristics, and, as they say, they love the car eyes. Therefore, to estimate the best, it is necessary for us to use a photo on which they are represented, here with what it is necessary to begin. After all they not only the fastest, but also of them it is possible to name some the most beautiful (certainly, in this nomination of the obvious leader is not present, as tastes of people are different). In 2014 the rating of 10 fastest cars in the world has been updated. It is necessary to notice that this list not strongly changed in relation to published in 2013. Let’s look at these unique cars. 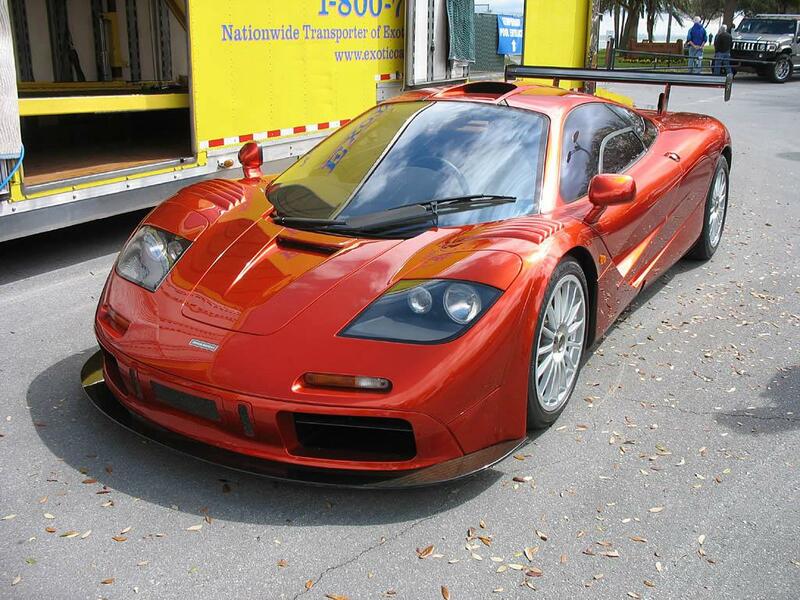 SSC Ultimate Aero 6.3 V8. The first place goes to the car with name SSC Ultimate Aero 6.3 V8. This car received a rank of the fastest car of the world thanks to that first hundred(km/h) on a speedometer by means of it can be overtaken only in 2.78 seconds. The winner of the given rating tested on special autodrome, and the record of the maximum speed in 436 km/hour has been put down. For given result achievement it has been spent a lot of work, but it is possible to name the basic achievement of designers creation of the car with the given indicators which can use and at an everyday life. Bugatti Veyron 16.4 8.0 W16 takes the second place in this list. It is necessary to notice that cars of this motor-car manufacturer were considered some years as the fastest in the world successively, but in 2014 of Bugatti Veyron 16.4 8.0 W16 overtook. Thus the difference of overcoming of “hundred” on a speedometer makes only 0.28 seconds that in real life it is impossible to notice, and in the list of the fastest cars it is quite enough for distribution. The maximum speed of a car makes 429.6 kilometers per hour (267 MPH). 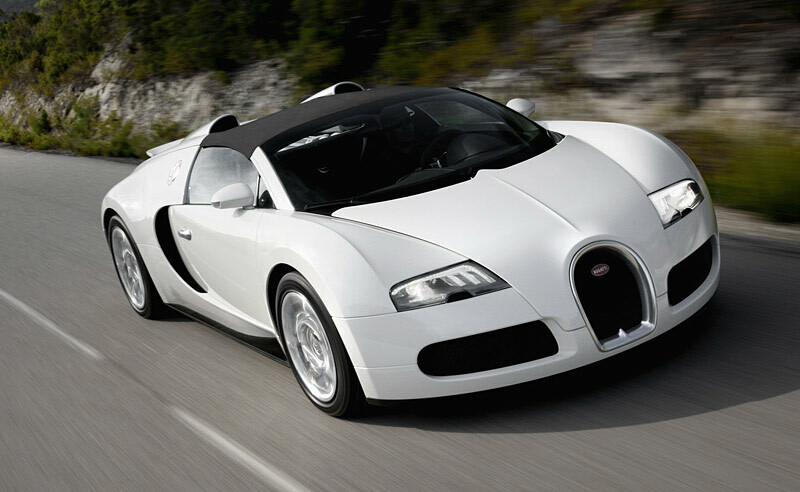 As to design of the car, hearing Bugatti Veyron name, at once there is a sense of style, refinement and individuality. Koenigsegg CC 4.7. 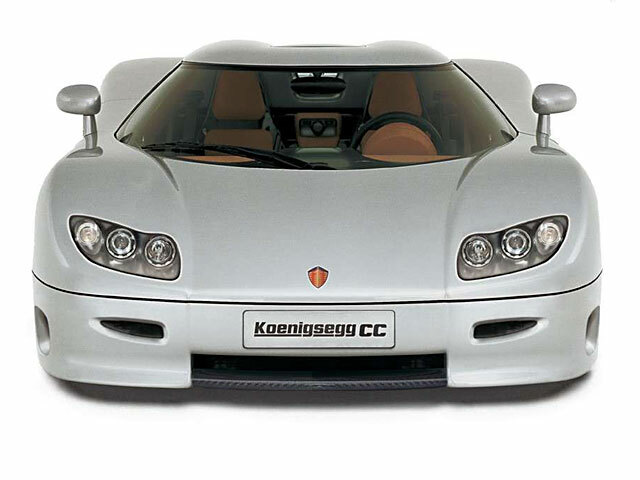 The car which got the third place in the list, is called Koenigsegg CC 4.7. Thus it is necessary to notice that in comparison with leaders, indicators of this car a little sad. The maximum speed has been fixed on a mark of 395 km/hour; dispersal to 100 km/hour was amazing and the car crossed the line in 3 seconds – the car reaches value which defines accelerating dynamics to very popular mark in Europe of 100 km/hour only in 3.2 seconds. Saleen S7. The fourth place in the list we give to the car which entered into the list of the fastest cars of the world. 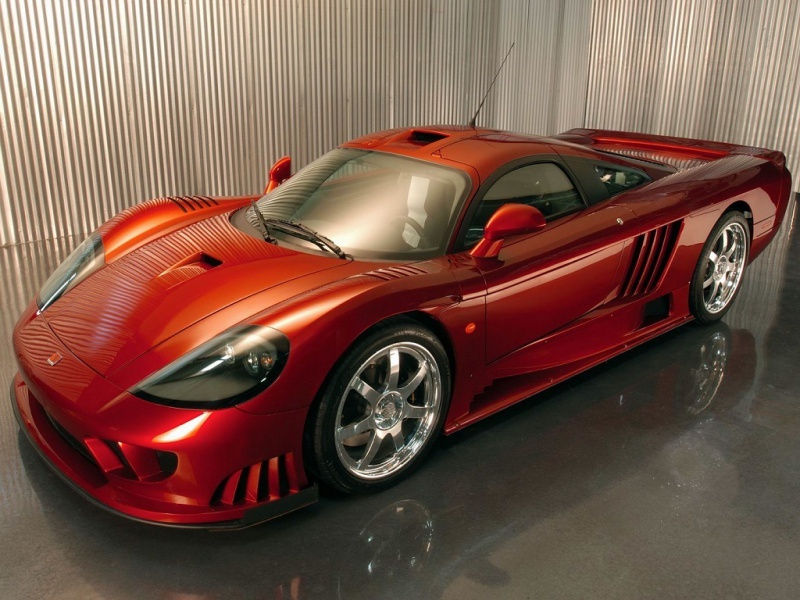 It’s Saleen S7 7.0 V8. The given car is equipped by the same engine, as well as Bugatti Veyron, but 390 kilometers per hour (243 MPH), unlike the contenders on a rating have the maximum speed, only. Dispersal to hundred occurs in 2.8 seconds. And here the external shape cardinally differs from design of Bugatti Veyron and Saleen S7 7.0 V8 it is impossible to confuse with other car (especially if to consider possibility of painting of the car in the most different shades among which the brightly yellow shade is most popular). Koenigsegg CC8S. 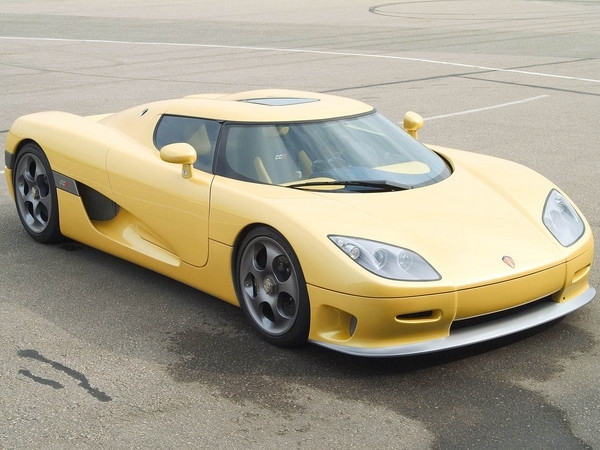 The golden middle of our top list by result was occupied by Koenigsegg CC8S 4.7 V8. If it to compare to the predecessor who took the fourth place, this car has a similar indicator of the maximum speed, but accelerating dynamics is worse, and to hundred Koenigsegg CC8S 4.7 V8 is dispersed for 3.5 seconds that also an excellent indicator. Koenig C62 3.4. 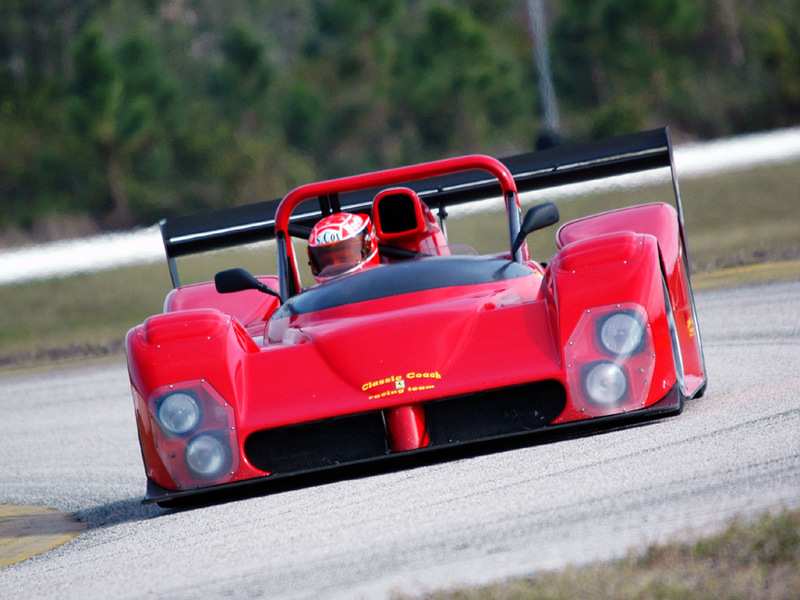 The sixth place in this list gets the veteran who occupied a top of ratings on achievement of the maximum speed — Koenig C62 3.4, released in 1991. The maximum speed makes 378 km/hour, and here speed of overcoming of a mark in 100 km/hour on a speedometer is characterized and took 3.3 seconds for that “old man” to reach is rather considered not bad at all. Le blanc Mirabeau. 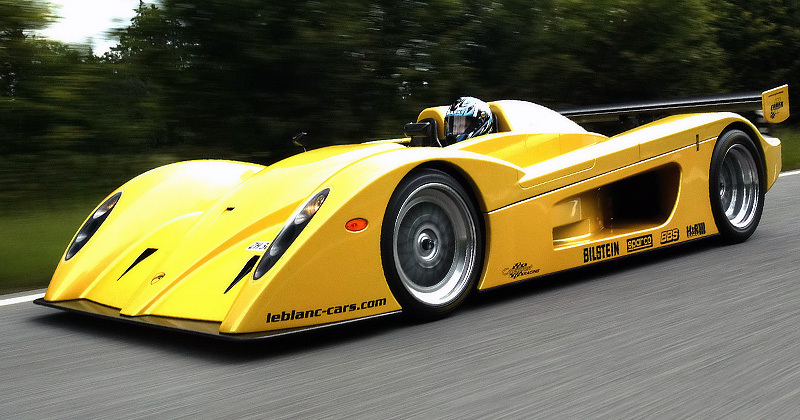 The seventh belongs also to the car which has been created last millennium — Le blanc Mirabeau. It designed and assembled in far 1990. If in more details to consider the given car, it can cause different feelings. On the one hand rather good indicators: the maximum speed of 370 km/hour, dispersal in 3.5 seconds. However if we pay attention to its design, it is difficult to present this car even to realizations of a small series. By the way, the car weight makes 900 kg and it is difficult to present that the given car entered into serial release as about a practicality and comfort at movement cannot go and speeches. Porsche Schuppan. Porsche is famous for a long time for their ability to release fastest and best quality automobiles. 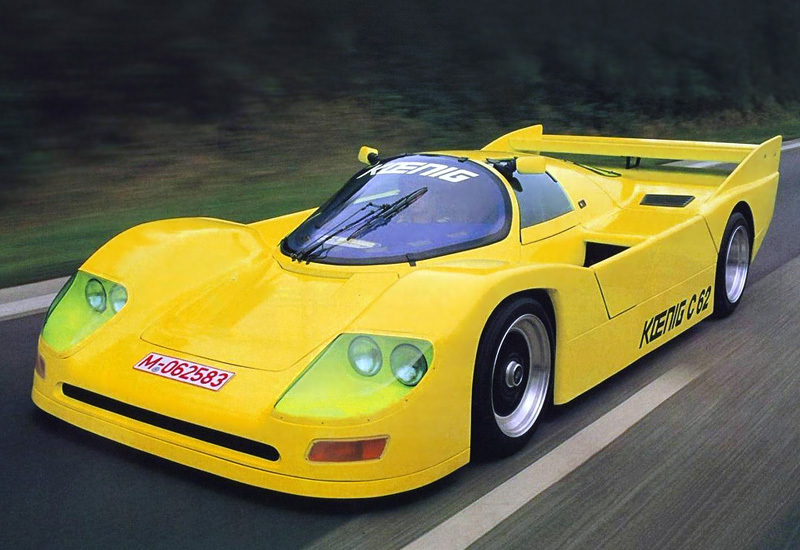 In 1994 Porsche Schuppan 3.0 which in 2014 takes the eighth place in the list with good enough indicators have been created, considering year of its assembly: 370 km/hour the maximum speed (230 MPH), is dispersed rare for today of a car to first hundred for 3.5 seconds. Ferrari 333. 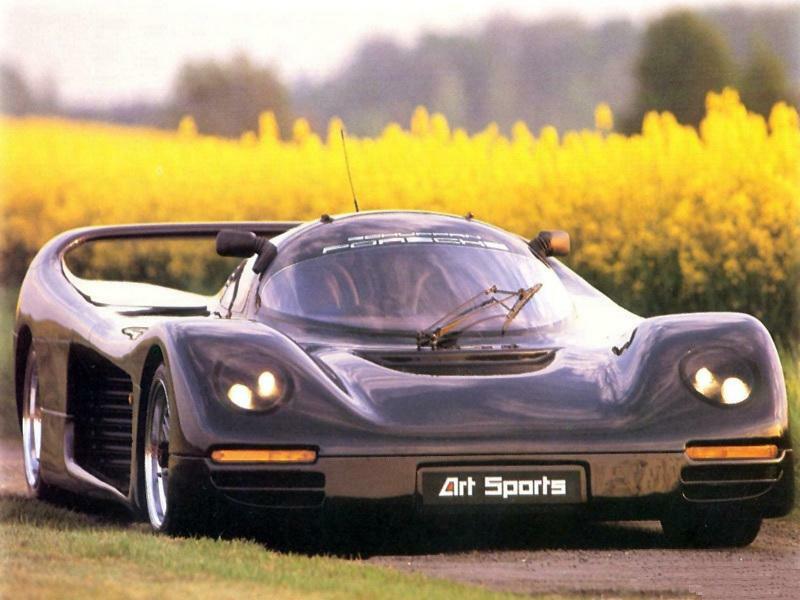 Year of manufacture – 1994; the maximum speed – 367 kilometers per hour (228 MPH), dispersal to the right hundred – 3.3 seconds. These indicators characterize Ferrari 333 4.0 and the ninth place in the list. More info about this car. The list closes by McLaren F1 6.1 1996 years at the tenth number at the maximum speed in 363 km/hour (226 MPH) which it is possible to name also one of the fastest vehicles moving overland. However, despite modest enough indicator concerning the leader, this car on its remembered lines can learn and name almost each motorist. More info. Manufacturers of cars constantly add in this list of new prize-winners and delete outsiders. It testifies that with each new year of the company on designing and creation of new cars move ahead by the way of creation of the perfect and fast means of transportation. But icons of style of speed and power in the car world remain also indicators of achievement of perfection at car creation that incomparably was with a technological level of that year, say that engineers only start to pass to new level of creation of vehicles for comfortable and fast movement. It is impossible to name above listed cars as popular. Therefore that familiarizes with the fastest cars of the world, video and other data and help with of Internet with it, it is necessary to understand at first that, indicators of sport cars differ from serial cars. After all if there is nothing to compare, any option will seem unique made. Therefore ,if we understood, with what indicators of a car at you or your friends familiarized with – the information resulted above, it is possible to understand, how much the current technologies departed from different versions of serial production and why the fastest cars of the world have very high cost.